Not my fault, honest. 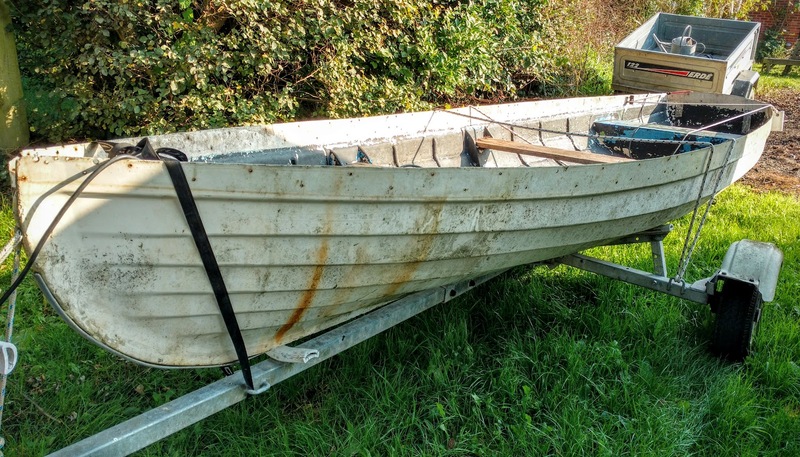 This bloke in Henley made me take it away by the underhand trick of offering his double Salter skiff hull for free. I have been considering for some time the possibilities of the Salter skiff as a sculler for the harbour and the Great River Race, where it has an excellent handicap. Almost all the woodwork has gone, making the fitting out process that much simpler, a great doer-upper. To make the trip even more worthwhile I signed up for a row with the Henley Whalers in Molly. We rowed upstream from Upper Thames RC (a friendly club) to Wargrave where we moored at a small jetty and walked into the centre of the village for lunch at the Bull (a very friendly pub), thereby neatly avoiding the St George & Dragon riverbank tourist trap. Note the nice Andrews slipper launch behind, the sun gleaming on the paintwork. Here we are coming out of Marsh Lock on the return trip, with Bob steering. They let me have a go, the first time I have steered with an oar, let alone one as massive as this. Note the handle on the top, intended I assume for sculling but used by the Whalers to show the blade is vertical. It is a rather strange experience at first, but the ability to haul the stern round by main force makes things very easy in locks and other places where the oars have to be shipped. 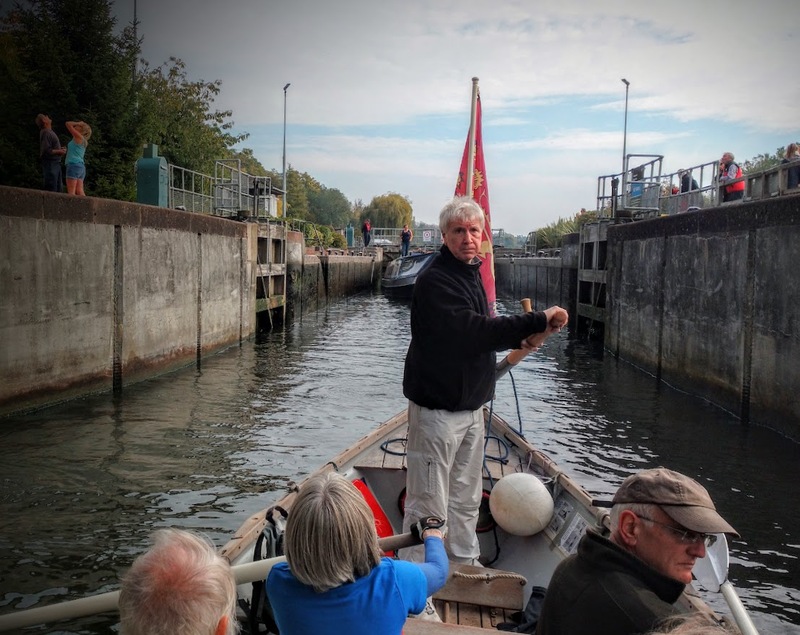 The boat can be propelled into the lock by getting on side to ship oars, the other side continuing to row lightly as you hold the boat in a straight line with the oar. That is a very, very nice sweet looking hull. What a great restoration project. I don't know much about rowing but I bet she will keep her way on when you pause to look at the scenery. Will look forward to seeing you work on her. Well congratulations, for a fleeting moment I considered getting it for the Ancient & Vulnerable but then decided we had enough old boats already. Good luck with the restoration, I'll look forward to seeing her finished.